If you are writing along with us monthly, welcome to Write the WORD, Part II. With 150 verses to choose from, there were too many for only one monthly bookmark! Whether you’ve been journaling along with us for months or are just now joining, I pray you will be blessed by these words on the WORD. Inevitably, when I’m challenging others to incorporate God’s Word into their daily lives, I will land in Psalm 119. I can think of no better passage to extol the benefits and blessings of reading and studying Scripture. When I launch a new Bible study or begin mentoring a young woman, it begins with a challenge to be a woman of the Word. Psalm 119, perhaps more than any other chapter in the Bible, pushes and prods us toward the Word. Psalm 119, perhaps more than any other chapter in the Bible, pushes and prods us toward the Word. As we write the WORD, it will stir up our hearts to live the WORD, memorize the WORD, love the WORD, know the WORD, and also pray the WORD. The thoughts I’m sharing today concern praying the WORD for our children. When my heart is full, but I have no words of my own, I’ve found it a blessing to just pray God’s words back to Him. Join me in doing that for your precious ones today. Below are ten verses from Psalm 119, along with ten prayers inspired by these verses. Pray them for your children, for yourself, or someone else you love or care about. Psalm 119: 1 Blessed are those whose ways are blameless, who walk according to the law of the Lord. Lord God, I thank you that through Jesus we can be declared blameless. I pray that my children would be convicted of their sin and call on Jesus for salvation at an early age. O Lord, I pray my children would be ALL IN—fill each with a desire to serve you and live for you always and in all ways. Psalm 119: 9 How can a young person stay on the path of purity? By living according to your word. Jesus, I pray my children would remain pure until marriage. I ask that you protect each from evil, and give them self-control and self-restraint to wait for the good things you provide. Psalm 119: 11 I have hidden your word in my heart that I might not sin against you. Lord, give my children an aptitude for Scripture memory. I pray memorization would come easy and each would soak up the Word during these young years. Psalm 119: 13 With my lips I recount all the laws that come from your mouth. Father, I pray Your Word would be on their tongues, prompting each to speak, teach, and declare Your truth. Psalm 119: 14 I rejoice in following your statutes as one rejoices in great riches. Holy Spirit, let nothing in this world—not money, possessions, or position—bring greater delight to my children than knowing and following You. Psalm 119: 15 I meditate on your precepts and consider your ways. God Almighty, I pray Your Word and Your ways would consume the thought life of my children. Psalm 119: 16 I delight in your decrees; I will not neglect your word. Jesus, I pray my children would commit to reading Your Word daily—that it would be a priority in each season of their lives. Psalm 119: 18 Open my eyes that I may see wonderful things in your law. 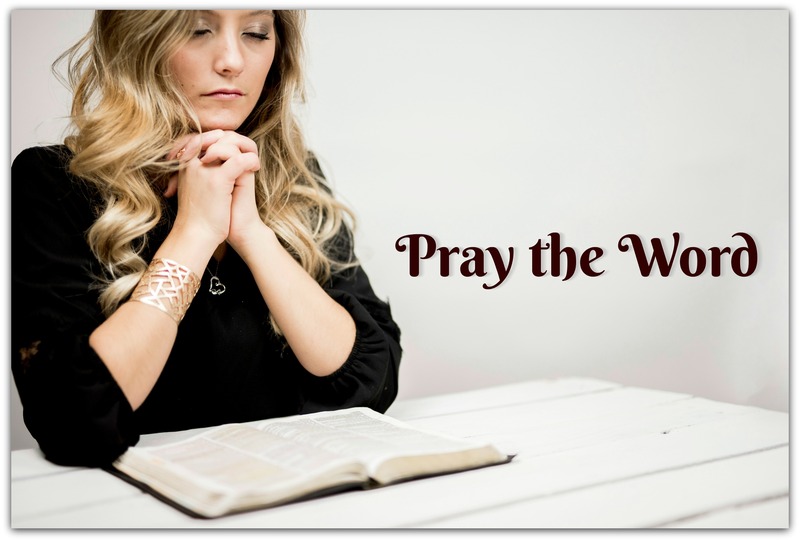 Holy Spirit, bring illumination and understanding to my children as they open the Word. Give them fresh and new insight to even familiar passages. Psalm 119: 20 My soul is consumed with longing for your laws at all times. Father God, I pray the souls of my children would be consumed with an insatiable hunger and thirst for Your Word.